When it comes to lifestyle choices big and small, a lot has changed in the last couple of decades. Perhaps the most remarkable of these transformations has been the move from single-family houses, or duplexes to condo life. The construction of condos all over the island of Montreal has given rise to profound lifestyle changes, as well as shifts in the traditional architecture the city is known for. But "old meets new" has great strengths, like more economical, sustainable and efficient living! How does one best furnish these new spaces? They’re usually smaller, composed of wide-open spaces rather than divided rooms, have higher ceilings, ampler windows and better lighting. 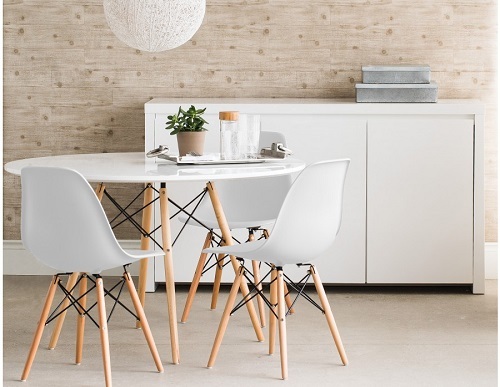 Modern, contemporary-style furniture is often your best bet when going about the business of purchasing furniture for your new condo. It’s important to seek out the stores that are going to match your style, your budget and your condo’s measurements. Structube offers an abundance of ways to up your chic factor and create a loungey, stylish atmosphere in any size condo. With reasonably priced stock and a beautiful variety of sofa beds, accent tables (think earthy vases, wood accessories and sophisticated lighting), there’s no doubt you’ll find what you need! Shop online or visit one of their several centrally located Montreal outlets. Zone boasts a large selection of fashionable and affordable items, with outstanding customer service to boot. All six of their storefronts are in bustling urban areas, four of them in Montreal (Côte-des-Neiges, Monkland, Wesmount, and the Plateau). They offer great sales on furniture, home accents for your kitchen and bathroom and lots more in the way of classy knick knacks for all your decorating needs. You can even order online if you prefer and opt for delivery. Ikea is a blessing and everyone knows it. If you’re in the process of decking out your new condo, this could not be truer! 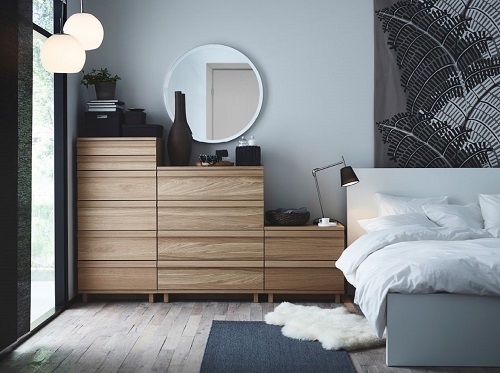 This internationally renowned Swedish outlet has provided countless households with high quality beds, lamps, sofas, tables, kitchenware; you name it, they’ve got it. If you need help with assembly, don’t worry, because they’ve got a service for that! Need some inspiration for your place? Sign up to Ikea Hacks, a community with great ways to repurpose your furniture. They really have thought of everything. If any place has what it takes to fulfill all your condo needs, it’s Montreal. Happy furnishing to all!